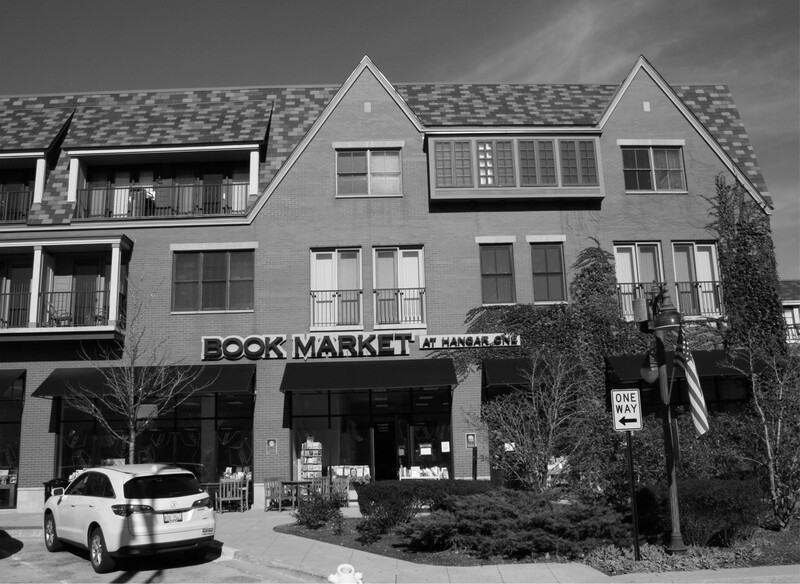 Cee’s topic of choice for the Black & White Photo Challenge this week is Store Fronts & Building Signs. Opting to focus on the store front aspect of the challenge, and going through the photo files, I realized that more often than not, when I’ve stopped to take a picture of the exterior of a commercial building it’s usually been either a pub or a restaurant, neither of which technically meets the ‘store‘ criteria. 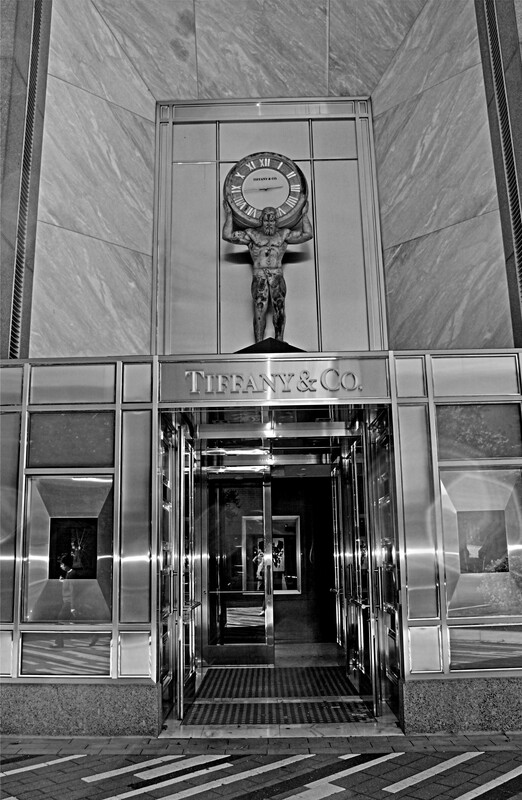 However, I did come across one or two stores that I thought might be of interest the first of which is Tiffany’s in Oak Brook shopping mall. From the opulent to the soon-to-be defunct; the end of an era. I had to stop at our local Toys R Us store to capture an image before it closes and is eventually torn down. 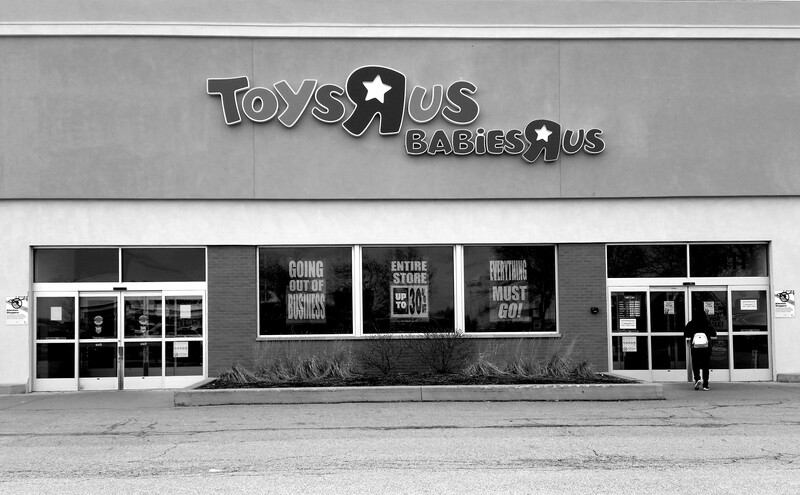 For more than forty years we’ve been buying things for our kids, grandkids, great-grandkids and, alright, maybe even for ourselves at this once great toy store. I’m sad to see it go after all this time. 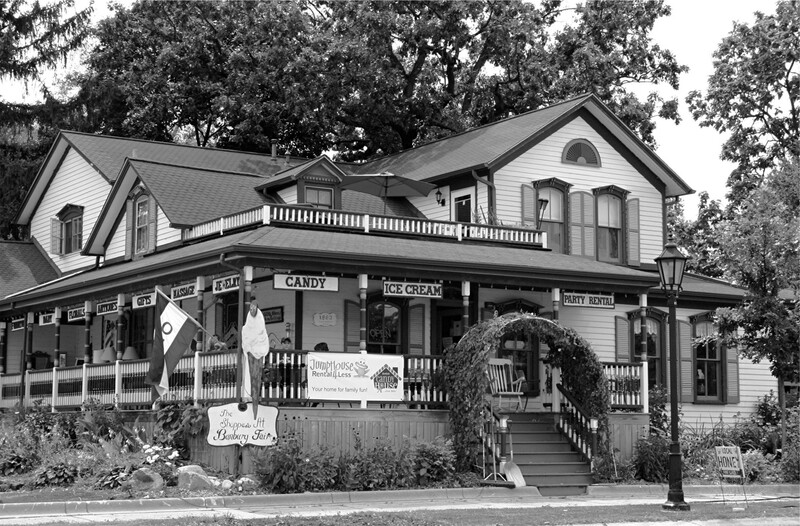 It might have been the flowers that first caught my eye at this store in Bartlett but even in black and white the building has a pleasing, small town, country look about it. The store sign below has a little bit of history attached to it although the store itself is in a comparatively new shopping mall in Glenview. The ‘Hangar One’ part of it is a nod to the Glenview Naval Air Station that once occupied this spot from 1923 to 1995. 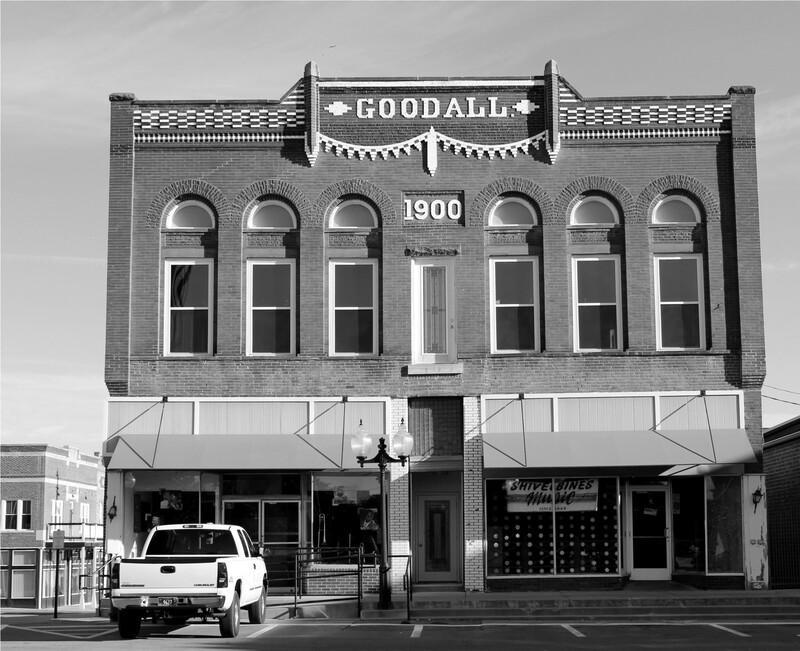 Going back a little further in history, many of the commercial buildings in Marion have names and dates incorporated in their architecture. I thought this store in the town square translated well into monochrome.